May | 2014 | Aren't We All Just Tourists Here? 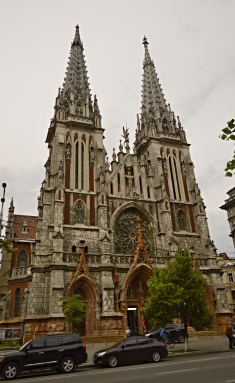 St. Nicholas Roman Catholic Cathedral in Kiev, Ukraine is located on Chervonoarmiiska St just a short walk from the new stadium. It was designed in a gothic architecture style by Vladislav Gorodetsky (also responsible for the House of Chimeras) and E. Salya. Currently the National House of Organ and Chamber Music is also located here and performs organ concerts. It is well worth a visit for both the stunning beauty of the cathedral and concerts. 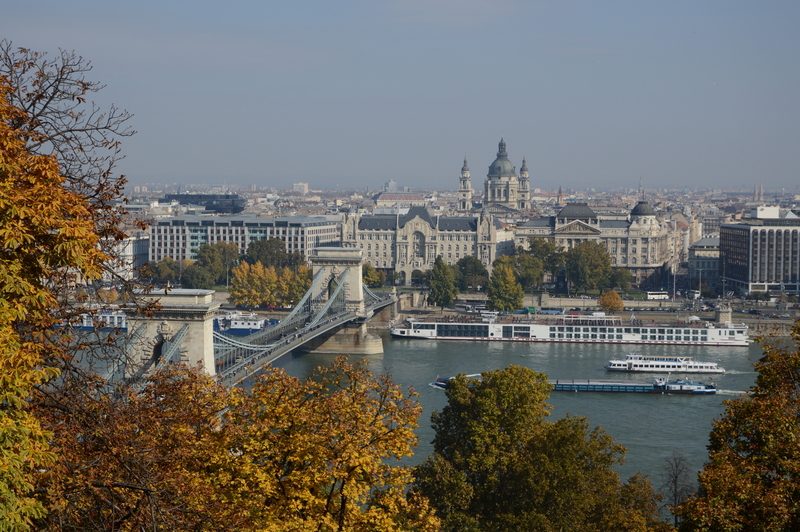 Following up from yesterday, here is a view of the Pest side of Budapest and the famous Chain Bridge from Castle Hill in Budapest, Hungary. The trails through the hills are seemingly endless with many viewing points of the city below. Beautiful! 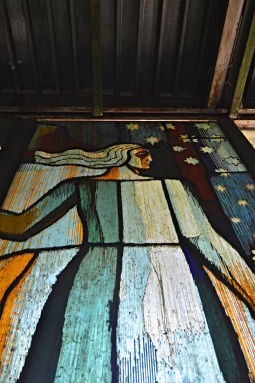 For most people who have visited, or are planning to visit, Chernobyl, it means more than just a 90km drive north of Kyiv, Ukraine to see a town laid waste by a nuclear accident in 1986. While people are happy to get a glimpse of the new sarcophagus being erected around reactor number 4, the endless feilds of power line towers and the re-emerging town city…(yes it even has a hotel and cafe) and the monument to the brave fairefighters who gave their lives trying to save others, the majority of visitors go for oner reason.. 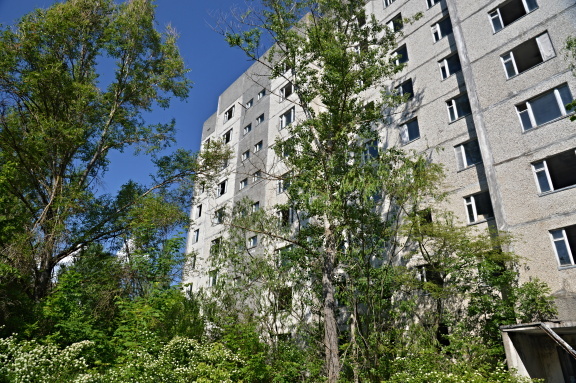 The Ghost Town of Pripyat . 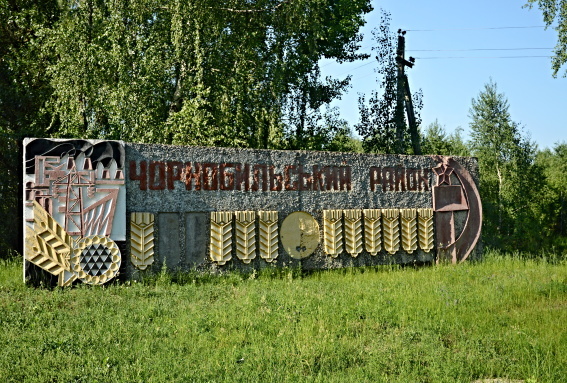 I visited the exclusion zone, Chernobyl and Pripyat on May 26, 2014hosted by a guide company that specialized in Chernobyl Tours . The day started at 8:30 when a car arrived at my apartment in Kyiv to take me to The 30km Exclusion zone, where I would meet my guide. The paperwork and permits were filled out well in advance and the guards gave no more than a cursury glance at passports, the forms or even the car.. Pictures of the guards or the barricades and guard house are not allowed. 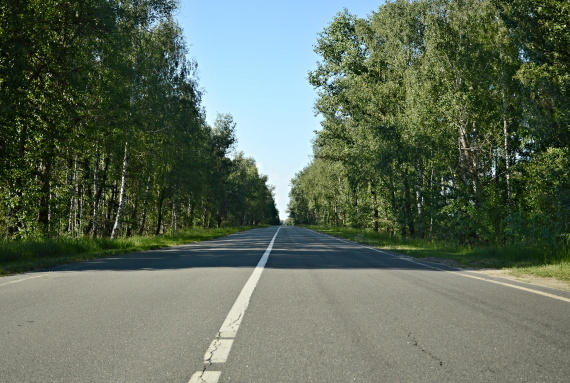 Once past the formalities and back in the car, we headed into Chernobyl.. 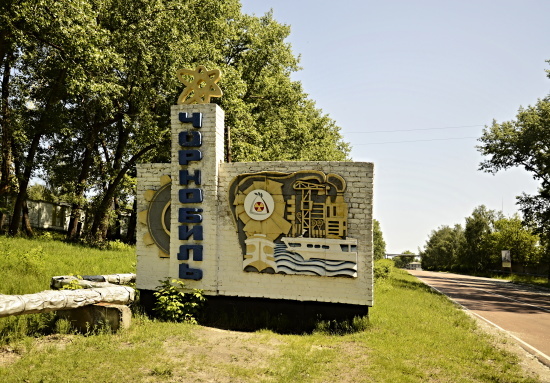 The town is occupied by “watchmen” and security, as well as the workers on the reactors and reactor housings. 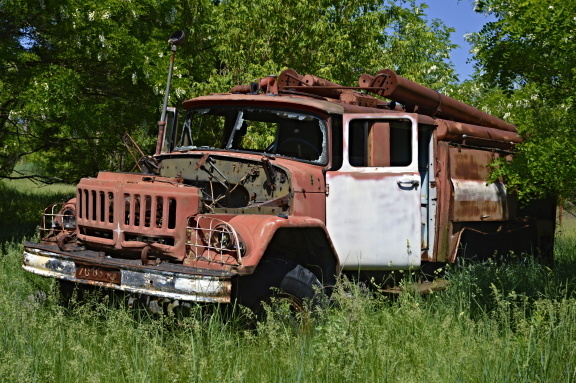 While not a bustling hotbed of activity, it is not exactly deserted … There are signs on residences that state ” The Owner Is Living Here” .. You can stop at the main sign coming into town for photos before continuing into the center to see the “Fireman Memorial” . 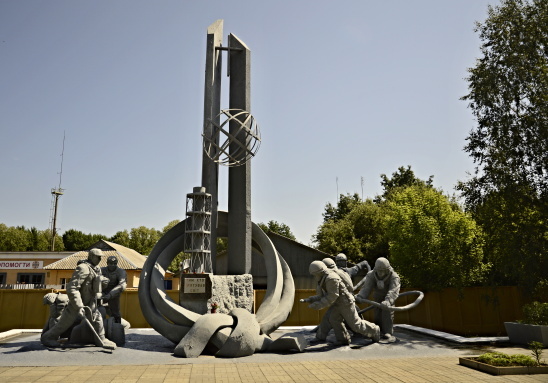 After a 10 minute stop to see the memorial, we started the 18km drive past reactor 4 to the 10km exclusion zone. 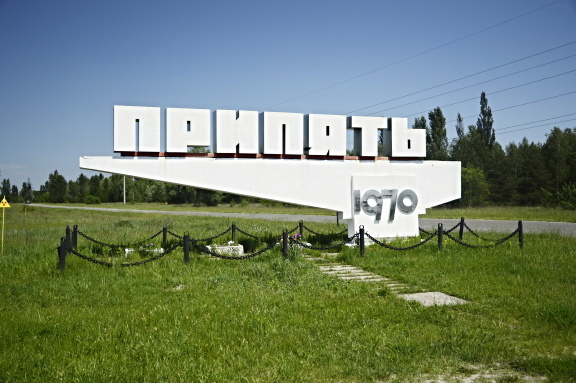 We stopped again for the obligatory photo of the city sign of Pripyat.. which stood out in stark white surrounded by yellow radiation warning signs.. I asked our guide, Andrie, about the Red Forest since it was technically next on the list.. The forest had been clear cut and bulldozed in 1986, so do not expect to see a vast stand of radiation killed trees.. Now it is tall pines and scraggly undergrowth..a little disappointing actually. There are only 4 buildings that you are allowed inside of..The hospital, the school, the kindergarten and the riverfront cafe. 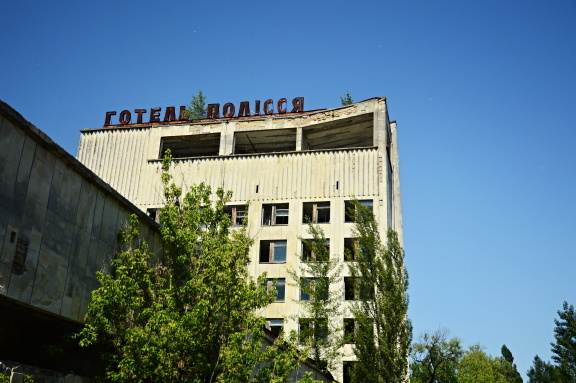 20 odd years of weather, radiation and vandalism have made many of the structures unsafe and the Zone authorities have placed most of them “Off Limits”. After seeing the inside of the hospital and the school, I felt it was no real loss.. water, mold, trash and generally unsavory conditions inside combined with, in my mind, staged photographic opportunities (more about that here in this Travel Rant) lessened the experience but I enjoyed walking around the town..The empty and quiet streets were spooky, even in the light of day.. 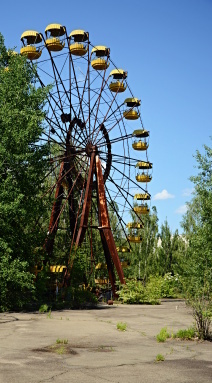 The amusement park was a must see.. even though, most of the park has rusted to oblivion, the ferris wheel still stand tall ..
All in all, not a bad trip..but definetly not what I was expecting from the hype.. I would recommend it just to learn about the horrific accident and the consequences that happened in Chernobyl and the surrounding areas.. but as a photo experience, not so much. After a pleasant lunch, included in the tour, we headed home. 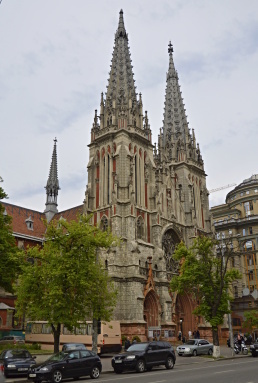 One of the many wonderful sights to visit in Budapest is The Church of Our Lady, more commonly known as Matthias Church . 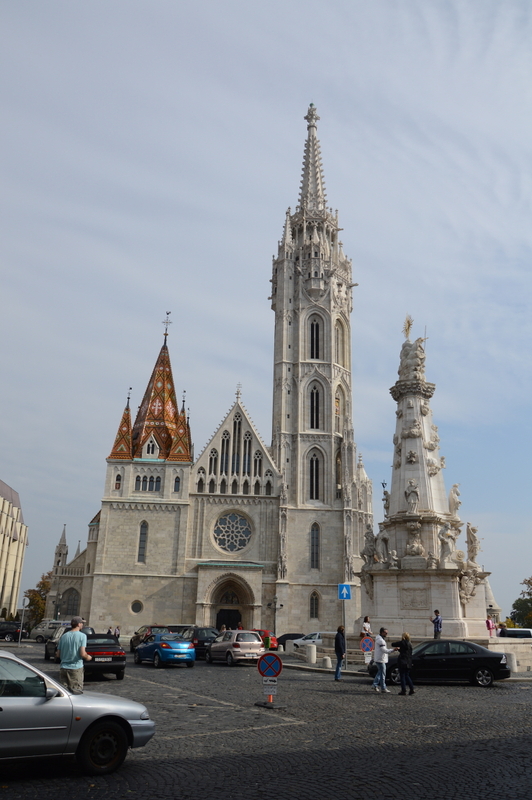 It stands in the heart of the Buda Castle District in front of the Fisherman’s Bastion. Beautiful gothic architecture and wonderful views of the Pest side of the river make this a “must see” in Budapest. 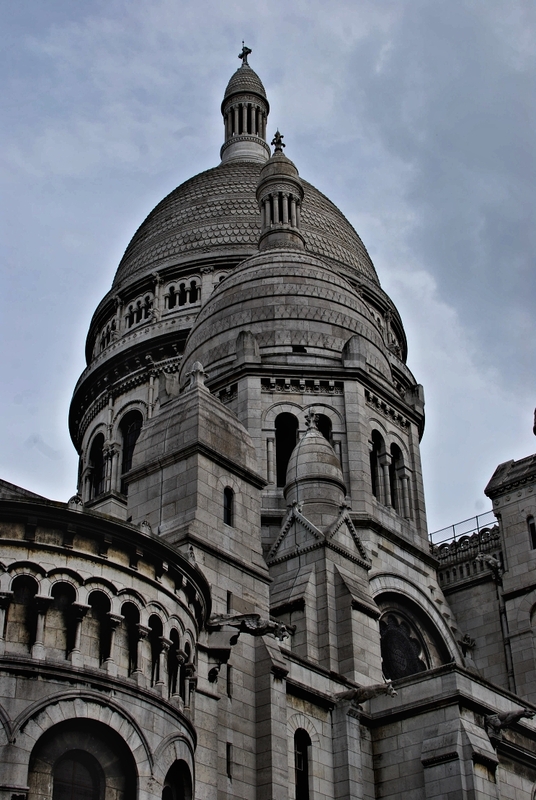 Most commonly known as Sacre-Coeur Basilica, or simply Sacre-Coeur, from high atop Montmartre, The Basilica of the Sacred Heart of Paris stands watch. It is a popular and well known landmark with unparrelled views of the city spread out below. 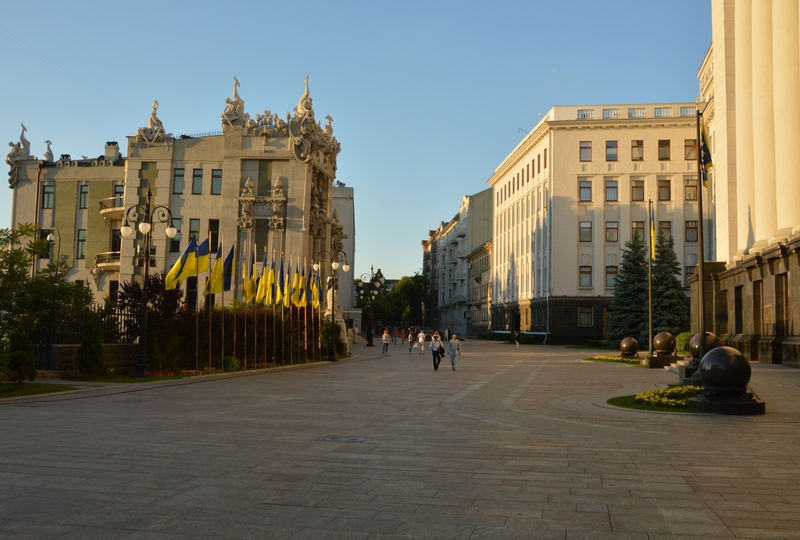 In honor of the presidential elections in Ukraine yesterday, I thought I would post a shot of the Presidential Administration building and House of Chimera on Bankova Street.. It is a pretty square to visit…especially in late spring when the tulips are in full bloom.. 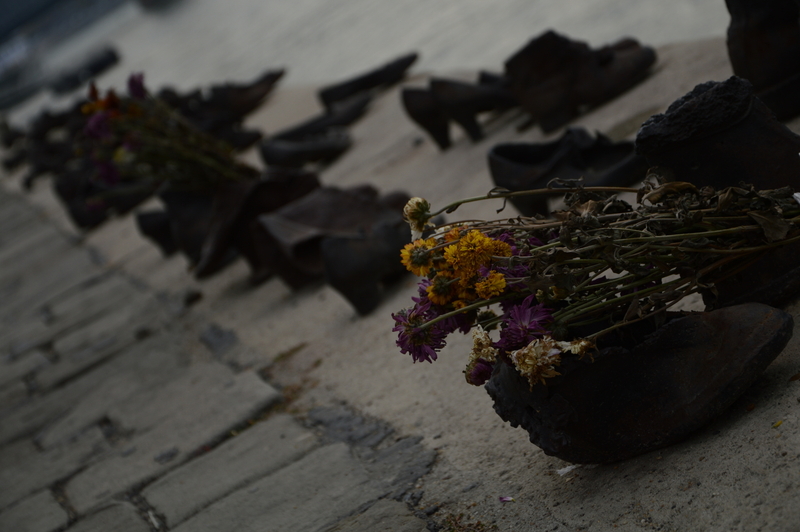 The Shoe Memorial in Budapest honors those executed on the banks of the Danube. Both Jewish people and those accused of “Jewish Activities” were forced to strip naked and face the river.. They were then shot in the back so their bodies would fall into the river to be swept away ..
Just across (and under) the Charles Bridge in Prague is a picturesque little cobblestone street . 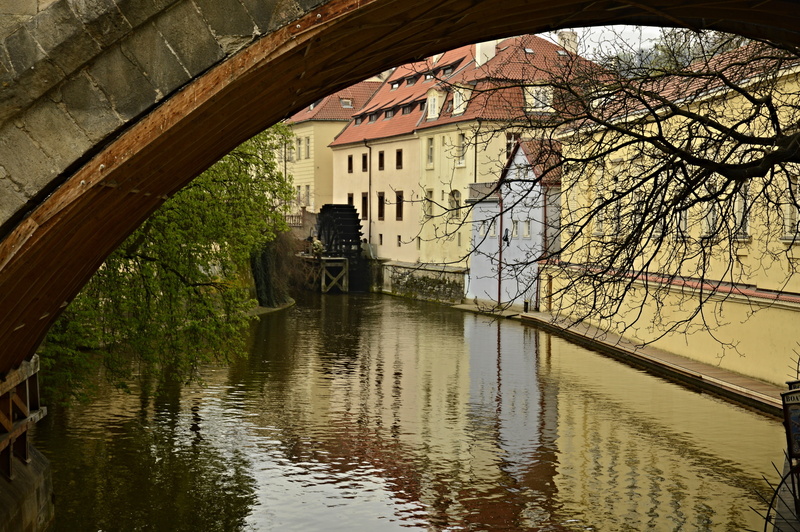 A canal with a water wheel is just one of the things you will discover here.. It was a welcome respite from the hoards of tourist on the bridge..